Boat and Watercraft coverage from JK South Insurance Inc. | JK South Insurance Inc.
Boat and Watercraft coverage from JK South Insurance Inc.
At JK South Insurance Inc., we strive to make your time on the water as relaxed and worry-free as possible. Our team of Florida insurance experts, who have years of experience, will help you find a comprehensive coverage that will not only protect you but your family and friends as well. We assure you that once you get an insurance policy, you will enjoy being on the water even more because you are not worried about the financial setbacks an accident or injury can cause while on or off the water. The navigation area – know where you are covered in the water to avoid complications. Companies will differ in the areas they cover. In Florida, you can purchase coverage for additional areas. Agreed value coverage – just like cars, boats and other watercraft also depreciate. Fuel spill liability and wreckage removal – in case you are on the water and your boat gets wrecked, there is a chance that it might spill oil. According to the law, you are required to clean the oil up, and this can be both time and money consuming. Think about getting covered for that. Emergency assistance – This package will provide coverage just in case you need a tow. It covers labor and delivery of gas. Unattached equipment coverage – this covers equipment that is not permanently fixed to your boat or watercraft. It includes items such as anchors, fire extinguishers, and other items. Does all this seem confusing? Do not worry. 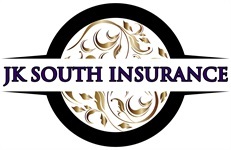 At JK South Insurance Inc., we have a team ready to assist you. Visit or call us for a quote and assistance on how to get started with a policy.